England will step out in the steamy heat of Samara on Saturday to face Sweden in what is their biggest World Cup game since losing to West Germany on penalties in the semi-finals at Italia 90. Yes, they have reached World Cup quarter-finals since, losing to eventual winners Brazil in Shizuoka in Japan in 2002 and in a penalty shootout to Portugal in Germany four years later. But this just feels different. This feels like a pathway towards their first World Cup final since 1966 has opened up in front of England thanks to the failures of holders Germany and a kinder draw thanks to finishing second behind Belgium in Group G.
England were underdogs against Brazil in Japan and giants like France awaited even if they had passed Portugal in Gelsenkirchen in 2006. Here, at what is turning into a classic World Cup, England must find a way past Sweden then beat the winners of the other last-eight game between Croatia and hosts Russia to reach the final on Sunday week. England will feel they can achieve that – they would have settled for this in a heartbeat before the World Cup started. And Sweden, Croatia and Russia will be feeling exactly the same. When England started the serious work in Russia at their secluded and peaceful Zelenogorsk training base almost four weeks ago, the wisdom stated that a place in the quarter-final would represent respectability, an outcome manager Gareth Southgate and the Football Association could present as tangible progress. England could still do that – but what an opportunity has presented itself for Southgate and this popular group of players, who have none of the egos, cliques and sideshows that have overtaken them at previous tournaments. Southgate and his squad will still return home with reputations intact, and some enhanced, no matter how events unfold in Samara. There will, however, be a burning disappointment if they do not take this World Cup campaign into its final week. As he conducted his final media briefing before Sweden, Southgate summed up England’s World Cup campaign when quizzed on the lack of clean sheets in their four games. Two key issues. Two valid points. England have looked reasonably solid in defence but clean sheets count in this knockout stage and there is no doubt they must create more in open play. Captain Harry Kane leads the race for the World Cup’s Golden Boot with six goals but three have been penalties, two as a result of corners and another an unwitting deflection from Ruben Loftus-Cheek’s shot. Kane relishes the weight on his shoulders as captain but now is the time for Raheem Sterling to come to the party after 23 England games without a goal. Southgate himself praised Dele Alli’s work without the ball against Colombia but accepted England need to work to benefit from his late runs into the area that mark him out as a special talent. Kieran Trippier has been an outstanding supply line but Kane now needs and deserves more from others. The upside for Southgate and England is if they have come this far carrying those two very curable flaws, how far can they go once the solution has been found? Russia has offered another dramatic shift in climate for England after they landed in Samara, on the banks of the River Volga, from their headquarters at Repino, on the Gulf of Finland. Repino was hit by heavy rain in the days before departure and England arrived in Samara to scorching heat, with temperatures predicted to be around 30C at kick-off time on Saturday. There has even been a kilometre-long beach constructed in Samara to enhance the carnival atmosphere of Russia’s hugely successful World Cup and England will hope the party does not end here. England have coped with similar changes in temperature against Tunisia in Volgograd and Panama in Nizhny Novgorod and, of course, it is the same for Sweden. Southgate, as he has been throughout, was measured and self-effacing as he completed media duties in the magnificent Samara Stadium but there is that inner steel and he senses this England team has an opportunity to write history. 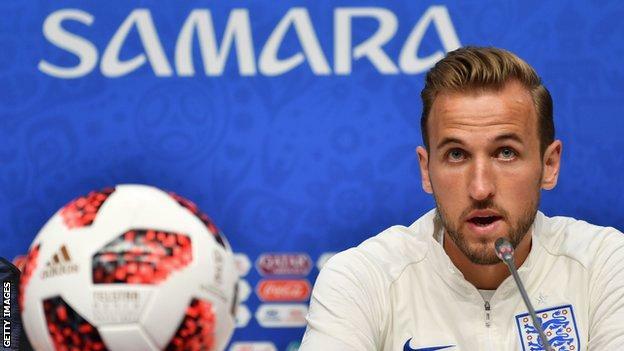 While Southgate outlined the improvements he wants on the pitch, captain Kane gave an insight into the mood off the pitch and the unity that has characterised England’s squad. He talked of them being like brothers – Kane presumably the head of that particular branch of the family – and he will hope this happy band can have more stories to share when they return to Repino. England might have to dig in for another attritional battle against the country that almost always seems to make life difficult for them. They have met 24 times in total, England winning eight, drawing nine and losing seven. In World Cups and Euros they played four times – winning one, drawing two and losing one. England, apart from the rout against hapless Panama, have hardly been peppering the goal while Sweden, the epitome of defensive discipline, advanced by digging out a 1-0 win against Switzerland thanks to a deflected shot from Emil Forsberg, their main creator. There will be no shortage of tension no matter how this World Cup quarter-final plays out – that will be provided by the huge stakes on offer. England have their golden chance.